The folks at Realtor.com put together their 2019 Real Estate Forecast and it is an interesting change of pace for sure. Some key things to keep an eye out for are all detailed below. If you are looking at listing or buying homes for sale in South Lake Tahoe this year, the most important thing you can do is align yourself with a South Lake Tahoe realtor who has proven success in our market. Second home resort markets operate a bit differently compared to “normal” residential markets. Having someone who understands the TRPA, the vacation rental ordinance, the taxes in both states and the various neighborhoods is so important. So how is real estate looking this year? Let’s see what the experts had to say below. 1. We’ll have more South Lake Tahoe homes for sale, especially luxury ones. The trend is proving to be accurate with our month supply slowly inching towards 4. We are currently at a 3.9 with little increases happening each month for the past few months. To understand a month supply, anything less than 4 is a seller’s market while anything 6 or over is considered balanced. This indicates who has control of the market, so while technically we are in a seller’s market, the increasing amount of homes for sale in South Lake Tahoe is on the way to changing that. This is great news for buyers, especially if they have been feeling the crunch for the past couple years. The interesting thing about more luxury South Lake Tahoe homes for sale coming onto the market is that if the area gets flooded with high end homes for sale, sellers may be more willing to negotiate meaning a buyer could possibly buy a luxury property for a good price. Before you get too excited and think about the lakeview mansion you will be spending summer 2019 in, the inventory growth rate isn’t expected to exceed 7%. That number is also a national level, so what will actually happen in the South Lake Tahoe real estate market remains to be seen. We also have the vacation rental law in limbo right now, which will have a massive impact on the market if it gets passed. 2. Affording a home will still be costly as it has been. While home buyers looking for homes for sale in South Lake Tahoe may have more options, the mortgage rates are expected to go up. They are currently around 5% and are expected to reach 5.5% by the end of this year. In a nutshell, this means that the typical property will have a monthly mortgage payment that is 8% higher. With incomes only growing about 3%, this could be difficult for first time home buyers who generally have smaller budgets. 3. Which brings us to…..Millennials! They are still epected to dominate home buying. They account for 45% of mortgages. While they were new to the buying scene just a few years back, some are moving on to their second home from their starter home. Whether they are just starting their career or they are starting a family, this group is still likely to be conscious about pricing compared to any other group due to student loan debt. With the South Lake Tahoe real estate market being a second home resort market, I doubt that millennials will be leading the pack in this area, however, I could be wrong due to the tech jobs in Reno & Bay area allowing for so much remote work. 4. The new tax law is still a wild card. There was talk that the new law might discourage people from buying homes for sale in South Lake Tahoe, but no one really knew how it might affect the real-estate market. This year is no different because most taxpayers won’t be filing taxes under the new law until April 2019. For more information on buying real estate in South Lake Tahoe in 2019, feel free to give me a call. 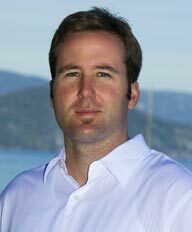 As a long time, local South Lake Tahoe realtor, I am well versed in the nuances that come with this area. I would be happy to guide you and offer information that can help you achieve your real estate goals.